In concert with the commitment to improve the health of its members and transform the health care system, Regence is dedicated to investing time and resources toward helping communities live healthier, safer and more productive lives. In 2015 Regence invested $6.9 million in programs benefitting more than 2,000 organizations across its four-state footprint of Oregon, Washington, Idaho and Utah. Regence employees also made personal investments by volunteering for causes they care about, volunteering a total of 7,424 hours in their local communities. In Oregon Regence invested $4.7 million in local communities benefitting 934 organizations, while its employees volunteered more than 4,400 hours to charitable causes. Regence partnered with: Asante in Medford to ensure that children facing cancer have access to the only pediatric oncologist between Sacramento and Portland; with The Center Foundation in Bend to ensure that the brains of student athletes are protected as they take the field; and with Oregon Food Bank to bring health food to the plates of local families across the state. In Washington Regence invested $1.4 million in community health initiatives benefitting 831 organizations, while its employees volunteered more than 1,500 hours to charitable causes and served on 33 nonprofit boards. In one community partnership, Regence supported the American Red Cross’ Services to Armed Forces Programs, which allowed the American Red Cross to purchase 10,000 briefing packets and provide significant support to help 800 volunteers in briefing 45,000 service members at installations throughout the state. In Idaho Regence invested $517,364 in local communities benefitting 151 organizations, while its employees volunteered more than 1,100 hours to charitable causes. Examples of community partnerships: Regence partnered with Twin County United Way in Lewiston, and sponsored the Ironman Coeur d’Alene, specifically the Kids Fun Run for young athletes and the bike course for triathletes. In Utah Regence invested $279,383 in community health initiatives benefitting 158 organizations, while its employees volunteered nearly 300 hours to charitable causes. Regence partnered with the University of Utah to stage Be Well Utah, a weeklong celebration promoting wellness and healthier lifestyles, and supported The Huntsman Cancer Foundation by sponsoring the second annual Huntsman 5K. 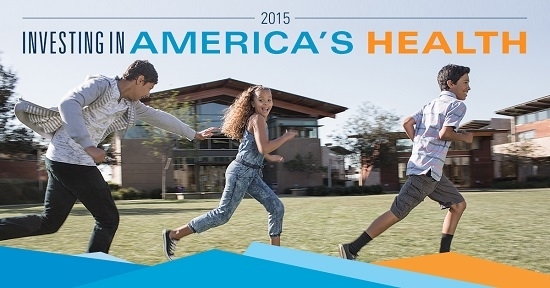 The Blue Cross Blue Shield Association released its eighth annual Investing in America’s Health (IAH) report. The report highlights the 36 Blue Cross and Blue Shield (BCBS) companies’ commitment to improving the health of all Americans, an effort that contributed to a national total of nearly 400,000 volunteer hours and nearly $350 million in community project funding across all BCBS companies and their foundations. Employees of BCBS companies also donated nearly $10 million to community health initiatives in 2015. To learn more about how BCBS companies are improving the health and wellness of members and their communities, view the report at www.bcbs.com/investingincommunities. Blue Cross Blue Shield Association is a national federation of 36 independent, community-based and locally operated Blue Cross and Blue Shield companies that collectively provide healthcare coverage for over 107 million members – one in three Americans. For more information on the Blue Cross Blue Shield Association and its member companies, please visit www.BCBS.com. We encourage you to connect with us on Facebook, check out our videos on YouTube, follow us on Twitter and check out The BCBS Blog for up-to-date information about BCBSA.